Longboat Key, a prime corner of the Sarasota real estate landscape, is a pristine barrier island divided in half between Sarasota County in the south and Manatee County in the north. Longboat Key offers limitless activities for the whole family from golf, tennis, boating, and a wide array of sun kissed beach parks. The brilliant Gulf sunsets, world class recreation facilities, educational family activities, and thrilling pleasure boating, are just a few examples of why so many people are looking to make the move to Longboat Key. Longboat Key rests on the edge of the Gulf of Mexico, across from Bradenton and Sarasota, which puts it in close proximity to the areas entertainment, arts, and cultural centers. For the many individuals yearning for sand and sophistication, condos for sale on Longboat Key will more than satisfy that craving. While presenting a serene haven in a private and upscale location packed with pristine natural surroundings and relaxing amenities, Longboat Key is never at a loss for natural family attractions, as Parker Manatee Aquarium or the Pelican Man Bird Sanctuary can create fun filled family afternoons. For tennis buffs, court dreams come true at the condos for sale at Club Longboat. Located at 5055 Gulf of Mexico Dr and built in 1973, the chic architecture is French Mediterranean inspired and many residences are afforded terrace vistas of the Gulf as well as the 8 Har-Tru tennis courts. 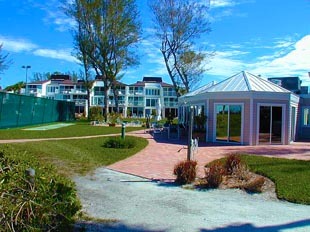 Life is beautiful with direct beach access and a lifestyle revolving around tennis. Not lacking other amenities, challenging golf is nearby and the complex itself boasts two resort style swimming pools, sauna, newly renovated clubhouse, covered parking, fitness center, library and on site management. 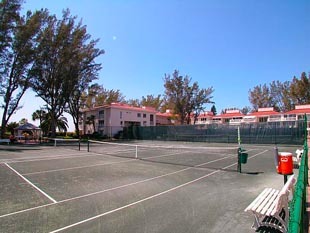 This 60 residence complex is known for its immaculate tennis facilities and the Club Longboat condos for sale are highly sought after by investors seeking style, spaciousness, and its idyllic waters edge location. Floor plans average around 1,200 sq ft and configurations can range up to 3 bedrooms with 2 baths. This secluded, but tight knit community loves the convenience of its mid island location putting it only minutes from everything and savvy investors appreciate the affordability with pricing in the low to mid $400,000 range. 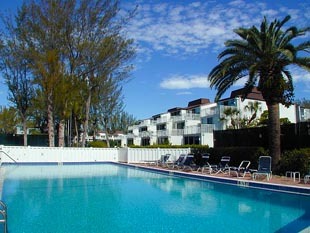 With so much to do, Club Longboat residents may just forget they live there to relax. After the family’s active day of pleasure boating, hiking, or tennis, food is next. Some of the finest eating establishments in Sarasota can be found around Club Longboat. Discover casual or elegant fare at numerous venues on the island from trendy resort dining rooms steps from the beach to dockside seafood bistros specializing in hearty fish stews and other culinary delights from the sea.